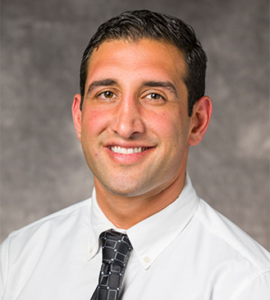 Majid “Amir” Moarefi MD completed his Anterior Segment and Refractive Surgery Fellowship at the Cleveland Eye Clinic. Dr Moarefi completed his residency in ophthalmology at Case Western University – University Hospitals. As a senior resident he was elected as the Residency Wellness Representative and was decorated with awards and scholarships. Dr Moarefi’s great love for his hometown has brought him back to Southern California, where he is excited to give back to the community that raised him. He has a strong background in patient healthcare advocacy at the grassroots and national level. Dr Moarefi has a natural passion for helping and connecting with others. His interactions with his patients seem to become instant friendships, making the relationship more personal. Dr. Moarefi has sought out to become the best surgeon technically and mindfully. He has surrounded himself with amazing mentors who are well established in the field and are regarded as the elite surgeons in the nation. His desire to be great reflects his efforts and participation. Dr Moarefi’s passion for eye surgery is based on his experiences in life, including his mission work in India and Syria helping perform surgeries on blind impoverished patients. He wants to provide a delicate yet embracing level of care for those patients who seek to minimize the discomfort of not being able to see well without aid. Dr. Moarefi completed his internship at UC Irvine Medical Center and the Long Beach Veterans Hospital. He finished his MD degree in 2012 at Chicago Medical School. He has 2 Masters degrees in Biomedical Sciences and Healthcare and Management Administration. He completed his Bachelor of Arts degree at UCLA. He has been involved in many ophthalmic organizations specifically the American Academy of Ophthalmology, the American Society of Cataract and Refractive Surgery, and the Refractive Surgery Alliance. Dr. Moarefi was born and raised in Los Angeles. He has spent time in his professional career in Chicago, San Francisco, New York, and Cleveland. Dr. Moarefi has a passion for volunteering internationally and here in his own backyard in Southern California. He loves to travel, having spent over a year living in South America, Africa, the Middle East, and Asia, working and volunteering at various medical clinics, teaching English, learning Spanish, and trekking some of the earths most beautiful destinations. In his spare time he enjoys cooking, basketball, and spending time with his family.